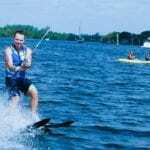 Water skiing may have been somewhat overtaken in popularity by wakeboarding, but it remains the same thrilling sport that was considered the height of glamour in the 1960s and 70s. 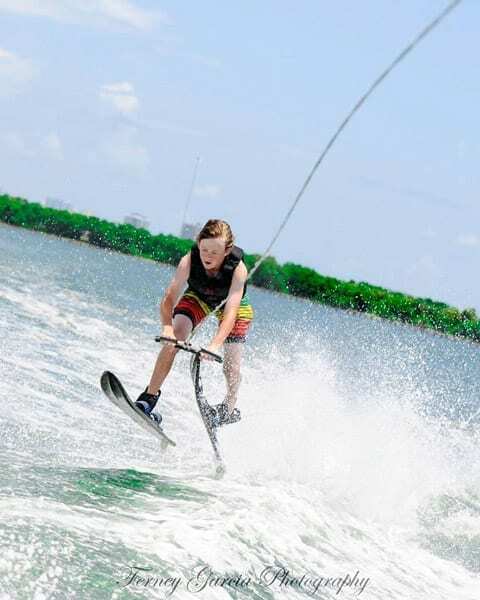 From children’s fixed skis, through novice riders wishing to learn on two skis, to expert monoski riders seeking to improve their performance in slaloming, Miami Watersports Paradise has the equipment and expertise to ensure you achieve your desires on the water. 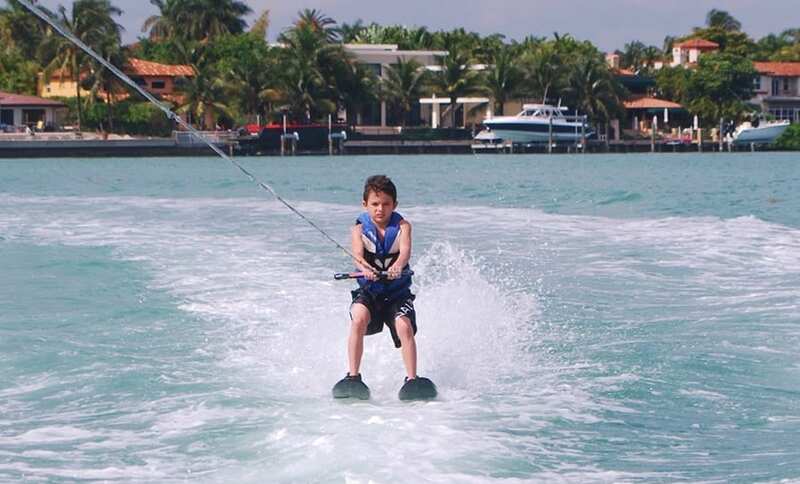 The geography of Miami’s Bay area, with channels and islands, means we’ll through our extensive experience we’ll always seek out the flattest water available. 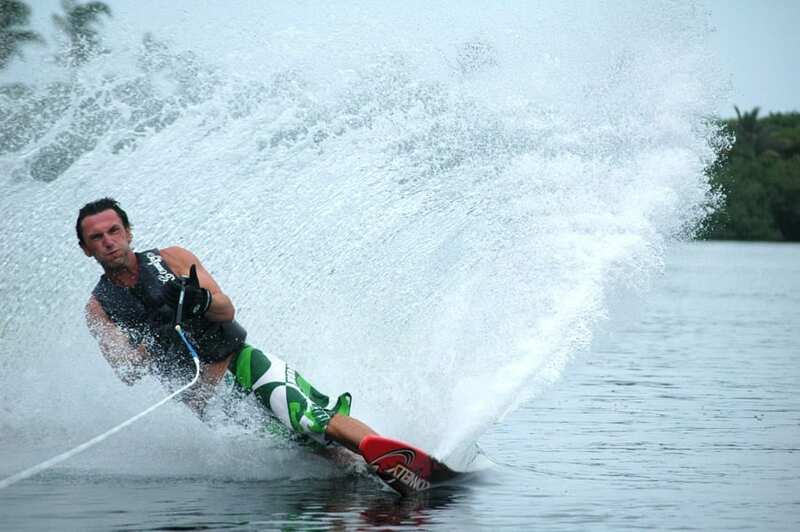 So whether you wish to become a waterski fan, or carve a big monoski fan, give us a call and book a session! 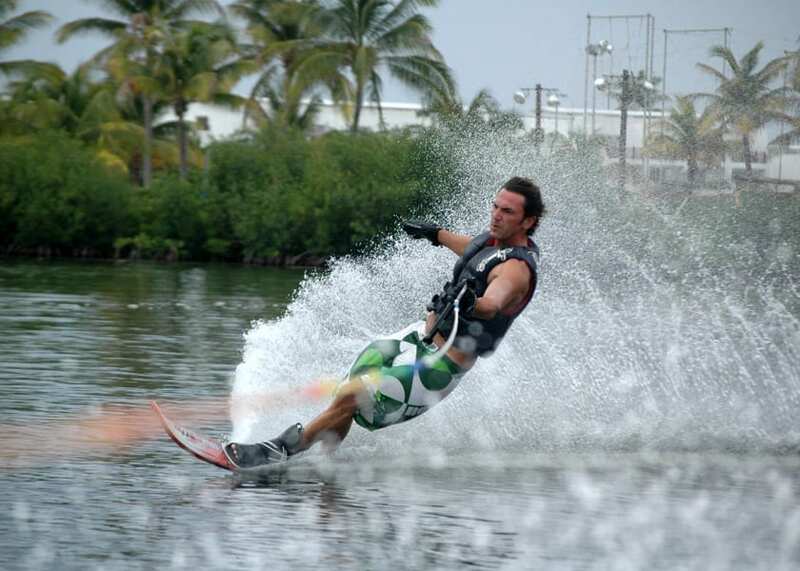 Call 786-484-8022 for more information about our Miami Waterski Watersports Packages! The price is for the boat. You can be up to 4 people onboard. 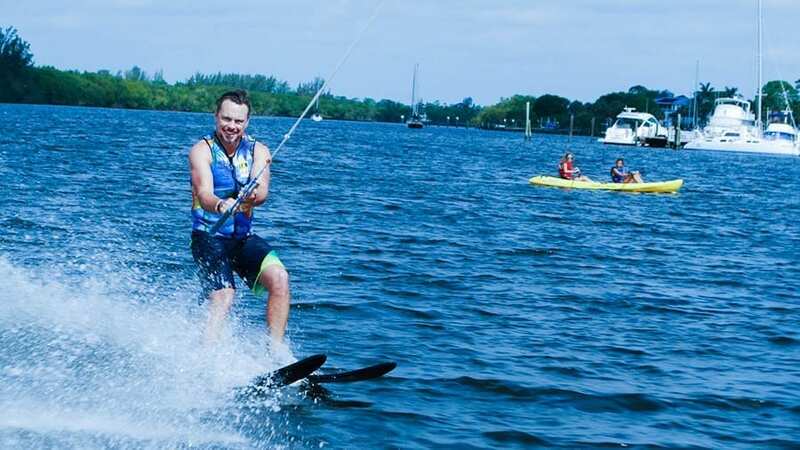 On average, in a 1 hour session, 3 people will have time to waterski. 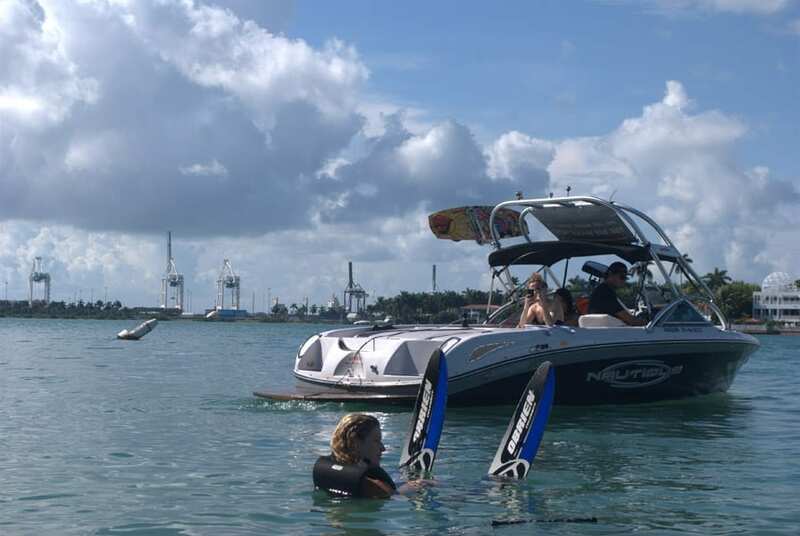 If you wish to, you can also try Wakesurf, Wakeboard, or Tubing during your session, at no extra cost. Just let your Captain know before you leave the dock. 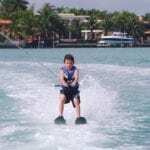 This is a private Waterski session. 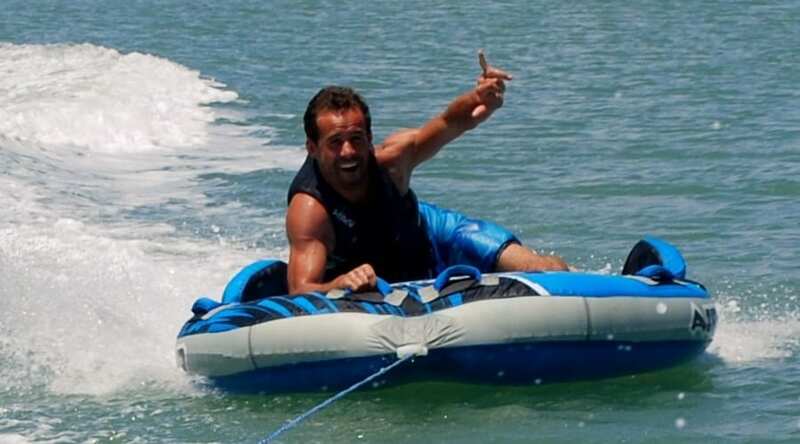 You can also do Wakeboard or Tubing (let your Captain know before you leave the dock).